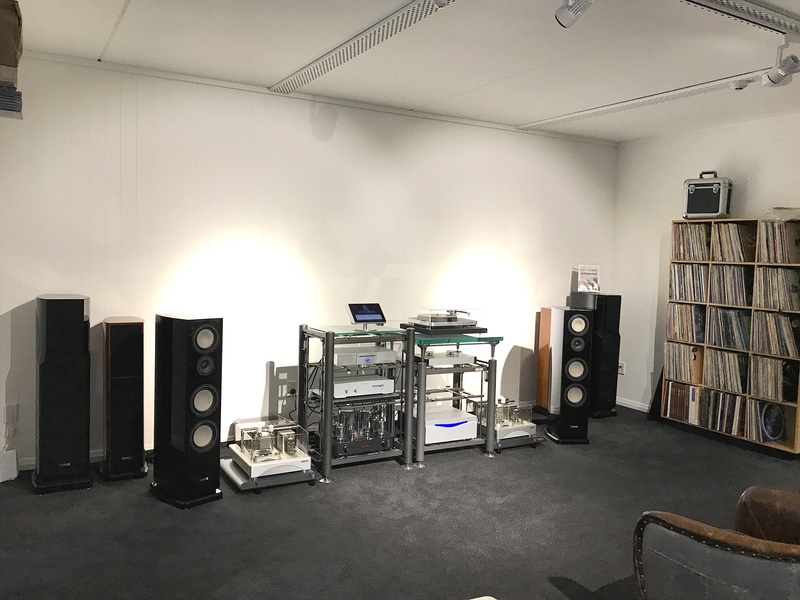 Terry Humphries runs a unique “by appointment” hi-fi showroom and auditioning facility called Audio Reference, which he first launched in Hamilton 10 years ago, then moved to central Auckland. 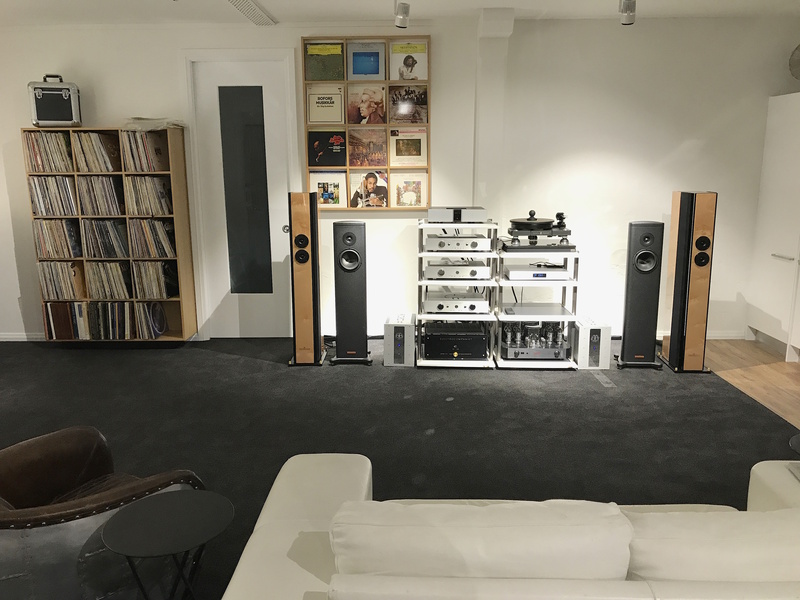 This week, he has reopened in the much more scenic locale of Devonport, in a lovely, sonically improved space full of some of the most beautiful looking and sounding, hand-chosen gear you will ever see or hear. What was your first ever experience of hi-fi? It seems like forever. I used to play trumpet and bass guitar (badly) so I’ve always been interested in music. Hi-fi seems to have always been a part of experiencing and exploring music. Was there a singular epiphany where you heard what hi-fi could offer and went “WOW!”? 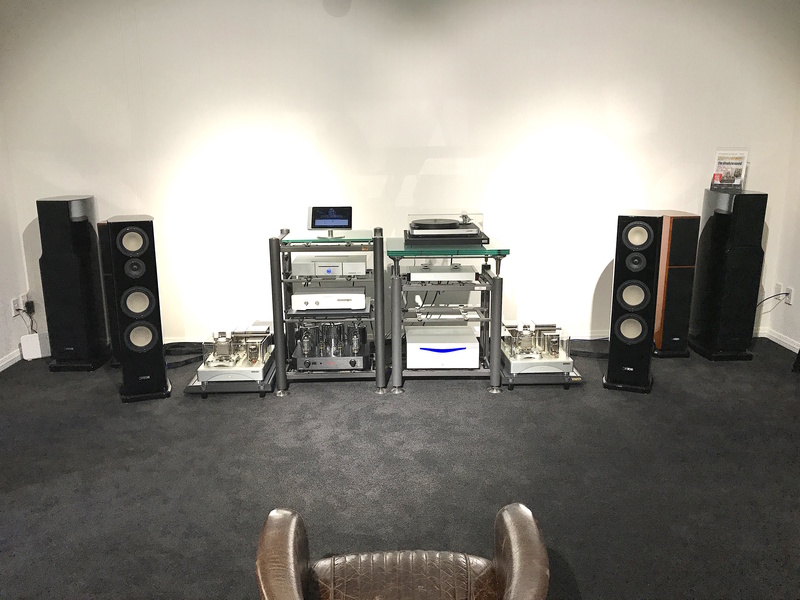 The first real WOW moment was in Italy where we went to audition Sonus Faber Stradivari speakers. I was chasing a classical music experience. That’s when we heard the pull off the bow on violin strings and cello. [My wife] Penny and I looked at each other, smiled, came home and sold my beautiful classic car and bought a pair of Stradivaris. Some thought I was nuts but I only drove the car every month or so, whereas I could have music every night. No contest. Have you always worked in hi-fi? If not, what did you do before, and what triggered the change? 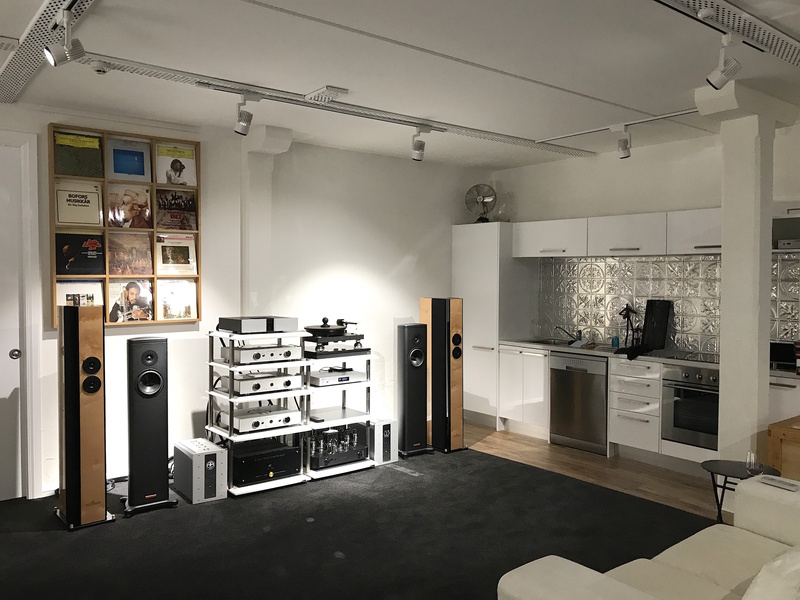 I came into the hi-fi market only about 10 years ago. 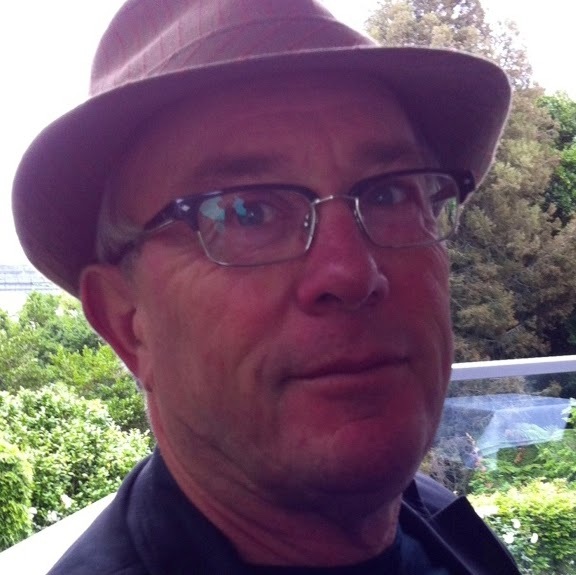 I was frustrated that I had to go to Italy to hear speakers that the NZ agent wouldn’t import – said “too expensive, no one would pay that sort of money for speakers”. Well, I did and so have many others since then. Before that I had a successful electrical importing company. It enabled me to travel and visit hi-fi shows and audio companies and to begin to quietly import gear that I thought was special at its price point, not high turnover boxes. Did your parents keep on asking when you were going to get a real job? That’s never been an issue. Was it a love of music or a love of the gear that inspired you? Interesting question. Ultimately, music wins out but the gear is a very close second. What IS your favourite music, anyway? These days I mostly tend towards jazz and classical on an equal measure. Depends on the mood. Music from the ‘50s, ‘60s, ‘70s, ‘80s, ‘90s, or later (or before)? Why be picky? If the music or singers are good, then that’s all that really matters. Every generation has something to offer. What was the first hi-fi you owned and were really proud of? It’s too long ago and too many systems, but it would have been after my Bose experience that I realised something was missing, when I began the journey and got the bug. What are the hi-fi separates you aspire to own? There are always options. They never stop improving gear but I am very happy with my new VITUS Signature series monoblocks and preamp etc. I have my eye on a very special turntable but lets see where that leads. 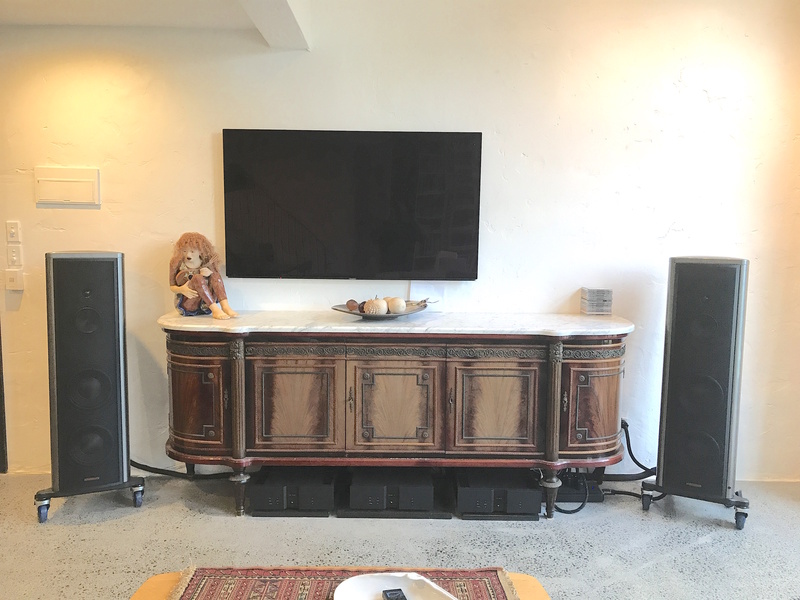 What’s the current hi-fi system in your home? That’s about to change with our recent move into our Devonport apartment complex with the showroom on the ground floor, but upstairs in our lounge the key components are likely to be MAGICO S5-MkII speakers, VITUS SM-011 Monos, SL-103 Preamp & RCD-101 CD player. On the other hand, I am pondering AYON tube gear too. Both offer standout gear. The turntable’s not finalized, but it may be a Dohmann Helix 1 or 2. How did you get into your current business, and how long has it been going? I started dabbling with importing hi-fi about 12 years ago while I still had my electrical business; sold that 10 years ago and carried on with hi-fi, and haven’t looked back. I simply focus on offering a special, personal experience around “ by appointment” demos in boutique surroundings where clients can relax with their music without interruptions. Included in that is of course some very special hi-fi gear that I’ve personally sourced, ranging from just a few thousand to tens of thousands of dollars. Name one really hot product you have on your books at the moment. Magico speakers, they are simply awesome for a whole range of reasons. What are your long-term plans for your business? Of course vinyl is better. True or false? Why/why not? Done right, both mediums can offer immense enjoyment, so why be picky? But perhaps vinyl sneaks ahead for those special moments. I’m a hi-res digital convert. True or false? Why/why not? Yes, but only partly true. There is not a lot of genuine, good material available, too much has only been up-sampled from standard CD, but when done right it’s worth a listen. Lots of power is always better. True or false? Why/why not? It totally depends on what the speakers demand, but in most cases power can equal more dynamics and life, but that’s not a given. Valves all the way. True or false? Why/why not? Valves can be engaging, especially in the mid-range where most music resides, so they tend to be easy to enjoy. I like good tube gear a lot, but again it depends so much on the system synergy. I equally enjoy very good quality sold-state too. It tends to be less compromised in the bass and top end regions. Is hi-fi your main hobby? What are your other passions? It’s my life, but its a good life, I get to meet so many passionate people and hear all types of music. It’s not a bad thing to wake up to every day. We enjoy walking our dog, our nine grandchildren keep us well occupied, and Penny and I enjoy an evening listening to music. Travel sits right up there too, but a good meal with good wine with good friends is as good as it needs to get for me. Where do you think hi-fi is headed in the long run? Sometimes with all the innovations one wonders how relevant all this will be in 10 years, but as long as people are passionate about music and art then there is life to be enjoyed. Somehow I think we have a way to go yet, so I will keep playing my part to be involved.